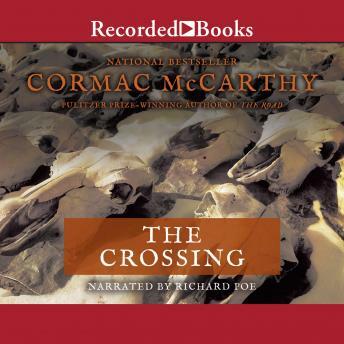 In The Crossing, Cormac McCarthy fulfills the promise of All the Pretty Horses and at the same time give us a work that is darker and more visionary, a novel with the unstoppable momentum of a classic western and the elegaic power of a lost American myth. In the late 1930s, sixteen-year-old Billy Parham captures a she-wolf that has been marauding his family's ranch. But instead of killing it, he decides to take it back to the mountains of Mexico. With that crossing, he begins an arduous and often dreamlike journey into a country where men meet ghosts and violence strikes as suddenly as heat-lightning--a world where there is no order "save that which death has put there." An essential novel by any measure, The Crossing is luminous and appalling, a book that touches, stops, and starts the heart and mind at once.